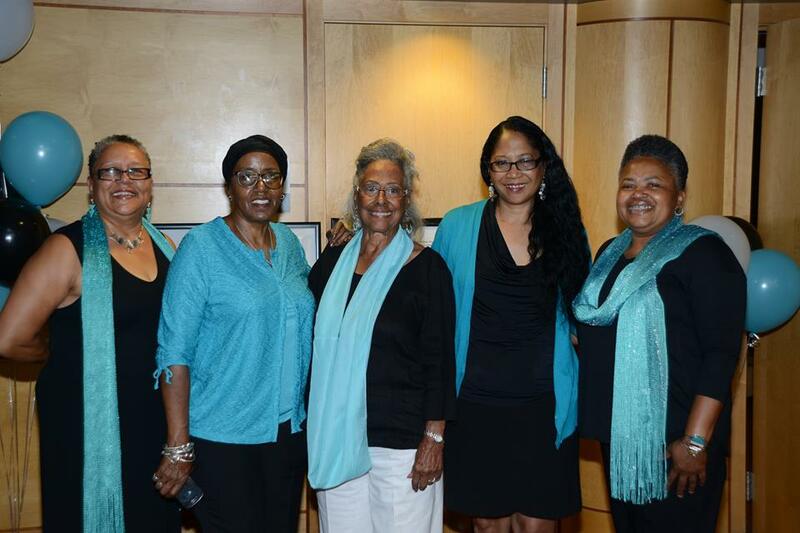 The Founders of We The People of Detroit (WPD). In 2008, We The People of Detroit (WPD) was co-founded by Chris Griffith, Aurora Harris, Monica Lewis-Patrick, Cecily McClellan, and Debra Taylor in response to Emergency Management over the city of Detroit and Detroit Public Schools. As a community-based grassroots organization, WPD aims to inform, educate, and empower Detroit residents on imperative issues surrounding civil rights, land, water, education, and the democratic process. 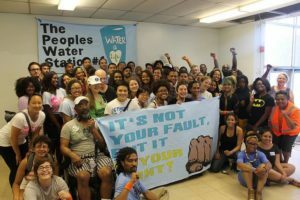 The People’s Water Station, where Detroit residents are able to obtain water during emergencies. 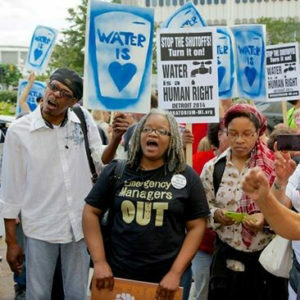 In 2014, as one effect of Detroit’s bankruptcy, the Detroit Water and Sewage Department (DWSD) initiated a massive water shutoff campaign against Detroit residents who had unpaid water bills. For many Detroit residents, and like others across the United States, water has become increasingly unaffordable. In a city where nearly 40% of its people live in poverty, many Detroiters must choose between their water bill and other necessary payments. Since 2014, over 100,000 Detroit residents/homes have lost access to water services and that number is only predicted to rise in 2017. In addition, the DWSD and City of Detroit have no intention of creating a truly equitable payment plan for affordable water services. The water shutoffs and subsequent lack of empathy from city leaders calls to question the developing Detroit that is shown throughout the media. Public health research empowered residents to fight for more equitable policies. In response, WPD has worked tenaciously with its network of volunteers to provide water to Detroit residents and advocate for a sustainable water future. WPD canvasses door-to-door in order to provide information and “Water=Life” kicker cards to Detroit residents. WPD also manages an emergency water hotline, supervises Water Stations, and delivers water to households in need of water relief. In partnership with the People’s Water Board Coalition and countless other grassroots organizations, WPD promotes equitable water payment plans and for water to be seen as a human right. In collaboration with community activists, academics, researchers, and designers, the WPD Community Research Collective (CRC) utilizes research in order to serve the sustainability of the Detroit community. The WPD CRC uses data to visually show the socio-economic consequences of austerity policies in Detroit, which have worked toward the dismantling of Black and Brown Detroit neighborhoods. 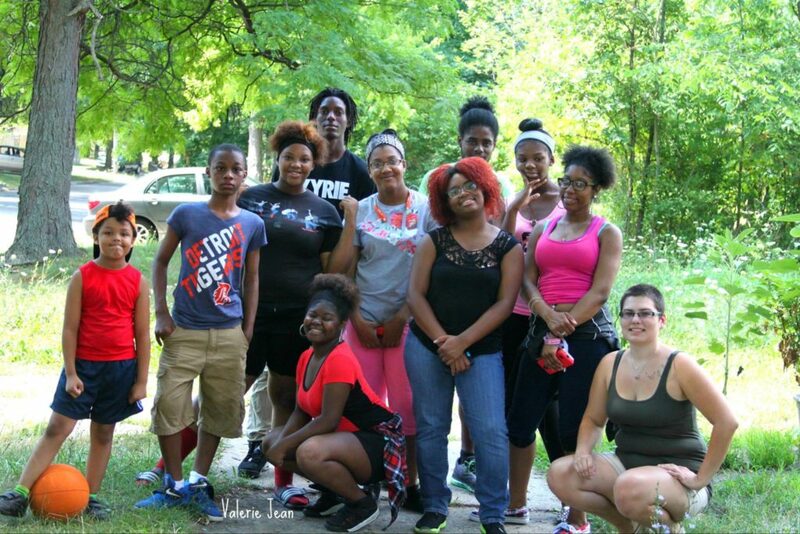 By presenting a critical counter narrative, WPD CRC uses knowledge as a tool to empower Detroit citizens as they fight for an equitable and beloved community. For example, in August 2016, WPD CRC published “Mapping the Water Crisis: The Dismantling of African American Neighborhoods in Detroit”, which is the first installment in a three part series. WPD CRC aims to release upcoming mixed method publications on education and land in the city of Detroit. Detroit residents at WPD meeting. WPD CRC’s most recent project addresses the public health crisis in Detroit as a result of unsafe and inaccessible water services. In partnership with Henry Ford Health System, the CRC found that Henry Ford Hospital patients were 150% more likely to experience water-related illnesses if their water services had been shut off. In addition, those experiencing water shutoffs are more likely to undergo psychosocial distress. Led by Nadia Gaber, MD/PhD Candidate at the University of California San Francisco, the WPD CRC conducted a volunteer-based research study in order to provide Detroit residents life-saving information about the ongoing public health epidemic caused by the city’s water crisis. Using this data, WPD plans to put research to action by conducting town hall meetings, hosting speaker panels, and continuing its global advocacy for equitable water access. However, WPD and Detroit community members know this work will be a strenuous battle as the DWSD and the City of Detroit Mayor’s Office continue to suppress the growing water crisis. WPD involves youth through leadership opportunities and internships. Kaitlin Popielarz is a member of We The People’s Community Research Collective. 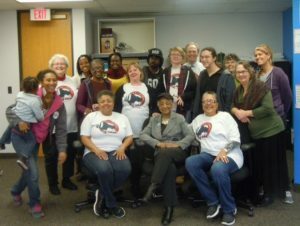 We the People of Detroit is dedicated to community coalition building and to the provision of resources that inform, train and mobilize the citizens of Detroit to improve their quality of life.